Adventures of Elis: IRONBRIDGE, England. The writings of a travel geek who loves to explore the world. It is said to be the birthplace of the Industrial Revolution back in the 19th century, but today nature has reclaimed the Ironbridge Gorge. Britain’s infamous industrial heritage comes together hand in hand with the lush countryside, earning the area UNESCO world heritage site status. Located only around an hour to the west of Birmingham, this area is a million miles away from Birmingham’s busy city atmosphere. In the Victorian era, the small valley was a bustling hive of activity. The famed ironworks was first opened in the village of Coalbrookdale by ironmaker Abraham Darby. The works used coal and iron ore which was mined in the village itself, taking advantage of the area’s abundant and pure natural resources. The small village became a prosperous producer of iron, eventually providing iron for the English railways which grew massively as a result of the Industrial Revolution. However, perhaps the most famous legacy of the Coalbrookdale works is the stunning ‘Iron Bridge’ which was designed by architect Thomas Pritchard and completed in January 1781 – the first cast iron arch bridge in the world. The bridge crosses the River Severn, with a span of 100 feet and 6 inches, and has in itself become a symbol of Britain’s industrial legacy. There are countless museums to visit in the area, which offer a good insight into the area’s history. These include the Bridge Museum and Tollhouse, the Museum of the Gorge and the Coalbrookdale Museum of Iron. Crossing the bridge itself is free, and gives some lovely views of the surrounding wooded landscape. 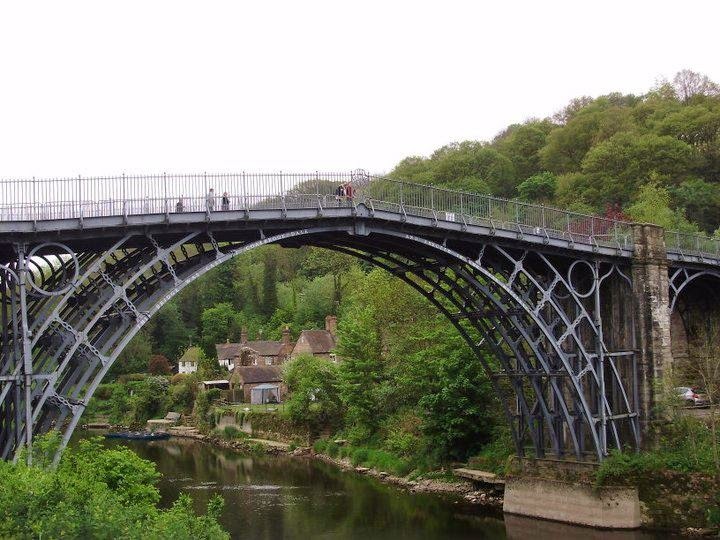 Upon the riverbank, there is a village of the same name – Ironbridge – which grew up after the creation of the bridge and which today is home to some lovely tea rooms. The area also attracts a lot of walkers. Although the nearest major town Telford is not the most attractive place I’ve been, there are several very pretty places within a short distance, particularly Shrewsbury and Bridgnorth. A Backpacker's Guide to GEORGIA. SORRENTO & THE AMALFI COAST, Italy. WROCŁAW, Poland. A rainbow city! A day in SALZBURG, Austria. 7 Reasons to visit KRAKÓW, Poland. BEST OF BUDAPEST - A guide for budget travel. Blog Archive - Find posts here!